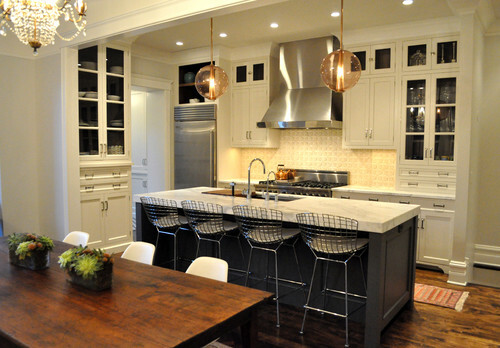 The brass pendants provide an unexpected but lovely glow in contrast to the high polished stainless appliances, door hardware, bar stools and faucet. 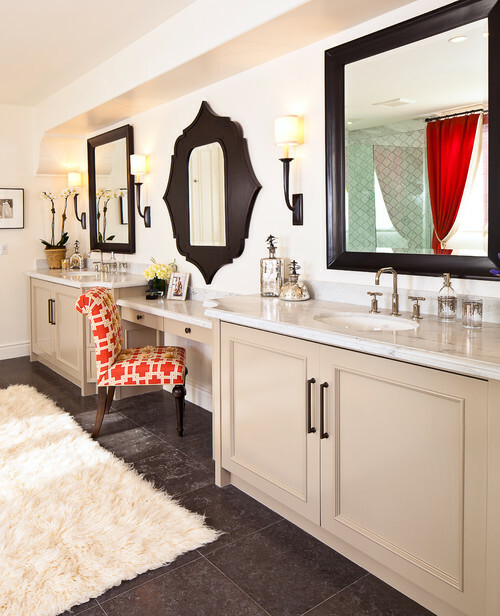 In this dressing room, a combination of rubbed bronze door pulls and light fixtures warm up the coolness of the nickel faucets and accessories. you will find just the right item in stainless steel and bronze. Please contact us to discuss your client's bespoke hardware needs.